Did you know that supporting United Way efforts to improve your community with monetary donations not only helps your neighbors, but can also earn you tax deductions? Fortunately, tax laws often encourage contributors to donate funds by allowing donors to deduct charitable contributions from their taxable income. This can result in major tax savings! Non-profit organizations, such as United Way, provide crucial services to people in communities all over the world. While some of these organizations receive government grants and other public funding, many still depend heavily on contributions from private citizens and businesses. Also, many government resources are difficult to access for those facing poverty. Still, in tough economic times, it can be difficult to budget for charitable donations. This is why permitting tax deductions for charitable donations can have a huge impact on the financial support that community organizations receive. Unfortunately, many people are often confused about making donations to charity. They either don’t understand the potential tax benefits of making a donation or they are unsure about which charities they ought to support. In the first case, individuals should talk to a tax professional in their area to help them understand the impact that a donation will have on their finances and whether they will be able to claim contributions as tax deductions. In the second case, it is important to carefully research charities and recent impact work before making a donation. This includes verifying the charity’s status as a non-profit organization. 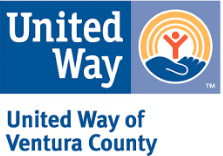 For over 71 years, United Way of Ventura County has made careful use of the cash donations it receives. In turn, it uses these funds to support initiatives that promote healthy living, educational achievement, and economic stability within your community. Give today, and get so much back in return.